. كما يقدم International Beach Resort الكثير من الخدمات لإغناء رحلتك في جولد كوست. يمكن للنزلاء الاستمتاع بالميزات التالية: خدمة غسيل ذاتية, تخزين الأمتعة, صف السيارات, غرفة عائلية, مصعد أثناء إقامتهم في هذا المكان الرائع. تعكس غرف الفندق البالغ عددها 120 المنتشرة في 22 طوابق جواً من الدفء والألفة.خدمات عصرية مثل تلفزيون بشاشة مسطحة, مكيف هواء, خدمة الإيقاظ, شرفة/ تراس, ساعة منبه موجودة في بعض الغرف المختارة. يمكنك الاستمتاع بالأجواء المريحة التي تقدمها ساونا, مسار جولف - ضمن 3 كم, حمام سباحة خارجي, سبا, غرفة ألعاب طوال النهار. إن كنت تتطلع إلى إقامة مريحة وهادئة في جولد كوست، فستجد في International Beach Resort بيتك الثاني. مكتب الإستقبال مفتوح من 06:00 صباحاً إلى 07:00 مساءً خلال أيام الأسبوع ومن 06:00 إلى 05:00 مساءً خلال عطلة نهاية الأسبوع. الضيوف الذين سيصلون خارج هذا الوقت يطلب منهم التواصل مع العقار مباشرة قبل موعد الوصول لترتيب هذا الأمر. The place was great all round. The only disappointment was the fact the reception wasn't manned over night. We had to leave for an early flight and went down the night before to let them know we would be checking out unfortunately the desk was closed 5pm as it was Sunday. I was pretty stressed as I had a $200 cash deposit to collect. Thankfully I emailed them and they agreed to transfer the money to a credit card which was great. Very helpful!! We managed to get a great price on it, a studio apartment for about $20 more than we would for a hostel. The hotel location was absolutely great. The interior of the hotel was not that clean. Old carpet with unpleasant smell. The matress need to be replaced. In summary will not stay there again in the future. This was a great hotel and superb location for the price. I only paid $90 for a beach front twin room. It was basic but for $90 for two people what can you expect? Was a little taken aback by the $200 holding deposit - I wasn't aware they were going to do that and hope it's refunded immediately! The location is good and the price isn't too bad either. 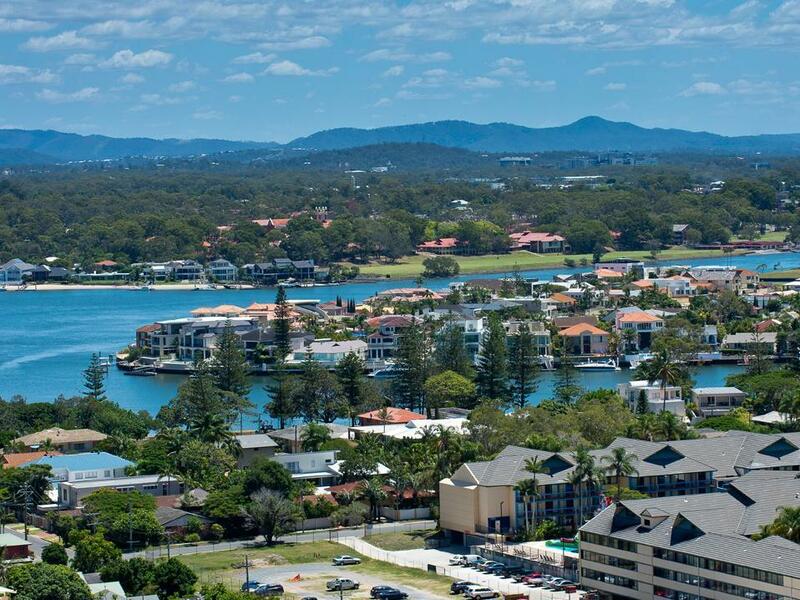 Its close to Surfers Centre and the rooms aren't bad. Parts of the room are fairly new and parts could be upgraded. You really do get what you pay for. I read the reviews and saw they were mostly all bad and thought oh I've booked into a really crappy place but it isn't as bad as you think it might be. I'd recommend the place to others to stay there. It looks dingy but it really isn't too bad inside. We were disappointing with the apartment, old and ugly. The lock was terrible, everything just too bad, Cannot find the hair dryer in the room, the resort definitely need to refurnish, I noticed there are only few room were booked during our stay. We want to get out from the resort ASAP, what a terrible stay with International Beach Resort. Wont be back again and hope you guys think twice before booking. Hahaha... if I know earlier it's budget hotel I won't consider booking this "hoStel". Don't expect anything from this hostel unless you like to experience budget hotel stay and experience wholly Self-Service “自己保重” after 7:00pm till 7:00am. I won't stay this hostel again. Not worth it at all. The reception closes at 10pm every night and when we reach the hotel, it was late night and dark. After calling the given number at the door for 10 times, finally someone answered the phone. Felt annoyed at that moment. The hotel is located right infront of the beach and we was given a room at the highest floor..Everything in the hotel is good except that there is no room service and they work like a service apartment more than like a hotel. Receptionist in the morning was realy helpful and friendly compared to evening shifts. Overall is a "hotel" I'll stay when i go for something budget. Room was very Clean, Informative staff, Value for money. I stayed 1 night at this Resort and was impressed, although Check in was a bit slow I got my key and went to the room which was neat and tidy, I am an outside smoker and was amazed that they have an ashtray for you to take on balcony, room size is just enough for 2, everything was worth the money you pay. 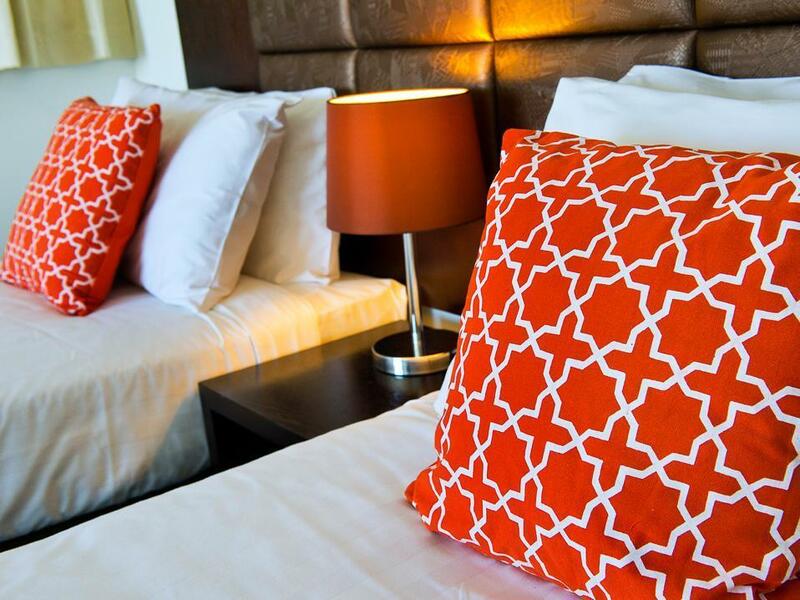 This hotel has stunning views and comfortable beds in a fantastic location right on the beach. Really enjoyed the 2 nights I spent there. Had a balcony that over looked the ocean. Its just a very short walk to Cavill Ave and is far enough away to not be bothered by late night noise. I would recommend the hotel to anyone. Helpful receptionist and system especially on late check-in, centrally located and nice sea view. 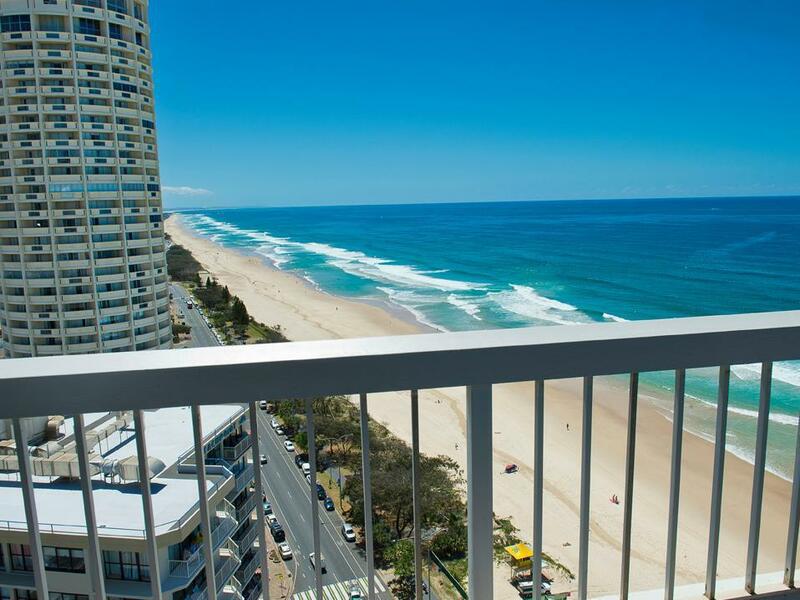 Me and my daughter enjoy our stay and the nice sea view of Surfers Paradise from this resort. 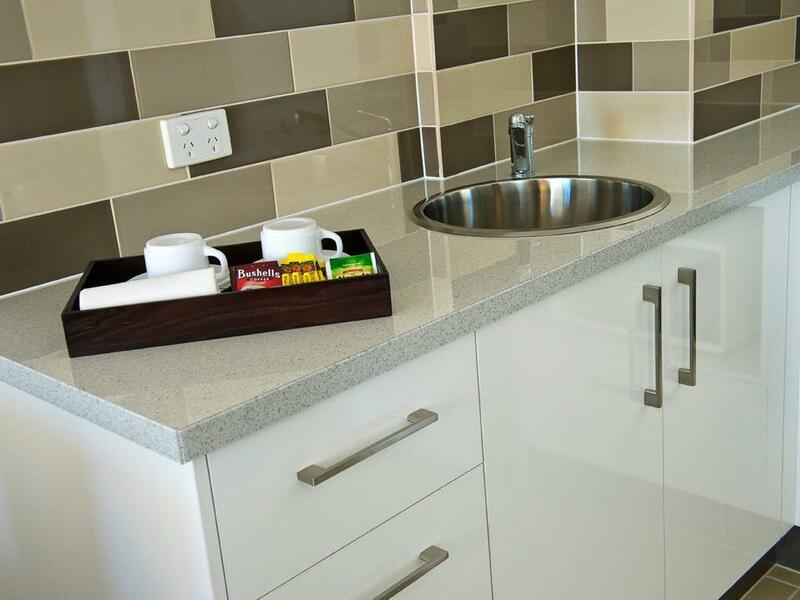 The hotel is value for money, centrally located in Surfers Paradise with ample car park and laundry service. Furthermore, I want to thank the helpful and attentive receptionist that help us with our late check-in on arrivals. I would certainly return to stay on my next visit and recommend this hotel to my friend. After reading previous reviews, we were a bit apprehensive, but easy friendly check in, great room with sea views, very clean, central to everything, free parking what more could you want? wouldn't hesitate to stay here again! Check-in was prompt. The availability of free parking for hotel guests was definitely a bonus. The room was very spacious and had a beautiful view of the ocean. Cavill Mall was a 5min walk away which was very convenient. Definitely will be picking this place if I have to go back to the Gold Coast. Both myself and my sister, who was visiting Australia from the UK thoroughly enjoyed our stay on the Gold Coast. We were able to sit and watch the surfers and walk to shops and restaurants. Transport to Harbour Town and all the highlights of the Gold Coast was only a couple of minutes away. Staff were helpful to all our queries and parking was safe and secure. Will definitely stay there again. Good location and a good price with breakfast included. Service was friendly. Plenty to eat for breakfast with a good range to eat. The room was basic and probably needs the bathroom area upgraded. A DVD included with the room would be good. Unfortunately not enough car parks for the guests at the hotel. our stay is very nice, and everything is great the only comment is that the rooms are very old. i think they have to do some renovation as some areas are really dirty and not pleasing to the eye that's why you will feel uncomfortable sleeping. other than that everything went well. one of the few hotels that comes with free parking. breakfast is really plain and simple. renovation was on going in the lobby when we stayed there, but it should be done by now. 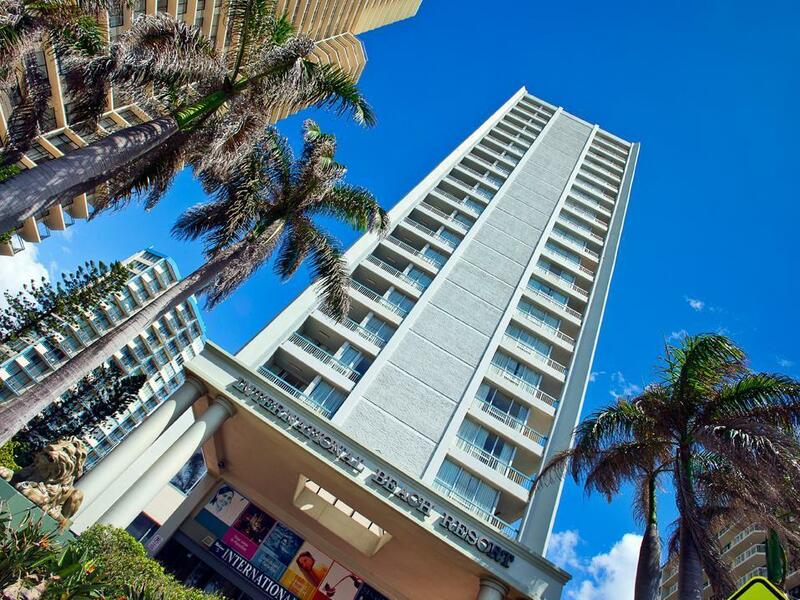 its only a 5mins walk to the main shopping and dining area in surfers paradise.